Single Rider $79.25: Single Driver must be a mininum of 16 years old. 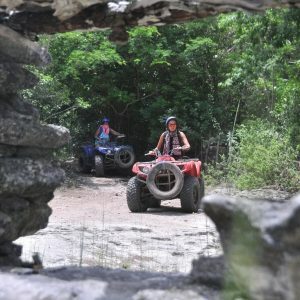 Double Rider $69.25: If you want to split an ATV with another adult or child this is the price for each rider. Minimum rider age is 8 years old. Must reserve in 2's to receive this price. 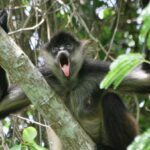 Have you always wanted to see the jungles of the Riviera Maya? Are you looking to make sure that you don’t miss out on anything during your time here? 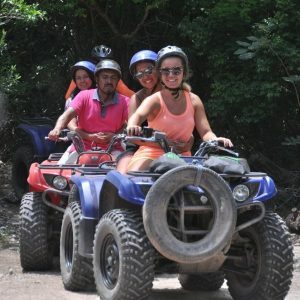 Well how about an ATV tour from Tulum? If this isn’t on your bucket list than it should be, because it’s an experience you won’t want to miss! 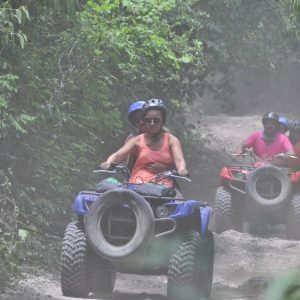 Arriving on scene and returning back to Tulum in an air conditioned vehicle, you’ll be able to go off roading on an ATV tour in the jungles of the Yucatan where your eyes will be opened to all of the wonders that are around you. This can be with either a single or double rider, your choice. If you’ve always wanted to visit the underground world of the Riviera Maya, than the stop to the dry underground cavern named “el puente” is going to really give you something to remember. 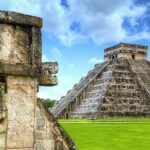 It’s a cool experience and sight to see, with certified tour guides along to help you in both English and Spanish. 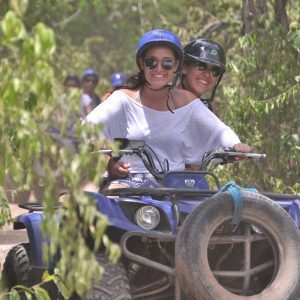 Next on the ATV tour is a visit to a cavern cenote and open cenote, both of which you are going to be able to explore via an aquatic zipline. 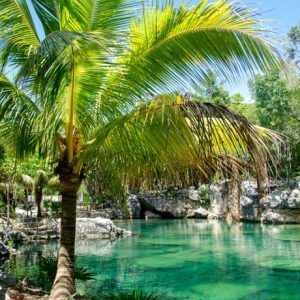 You’ll also have free time to swim around and explore the hidden areas of the cenotes for yourself. That’ll get you hungry, so you’ll be able to enjoy a provided lunch of a sandwich, a snack and ice cold water. 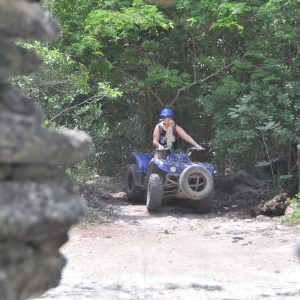 An experience to remember your time in Tulum will be well spent adventuring around on an ATV and seeing the natural world of the Mayan jungles. 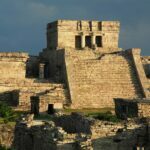 Morning Tour: Tulum pick up 8 a.m., Tour returns between 12:15 p.m. Afternoon Tour: Hotel pick up approximately 11:00 – 12:00 p.m., Tour returns between 3:00 – 4:00 p.m. Aquatic ziplines into the cenotes and time to swim. Swimwear, Biodegradable Sunscreen, Money for tips, Comfortable Footwear, Camera, Water, Towel.